Being a father of two, generally at night because they’ve gone to bed! What do you love about psychedelia? The freedom of it. The ‘psyche’ of it refers to the totality of the human mind, so essentially it’s about the mind being manifested. My wife, Jess – we share a brain. And the kids. 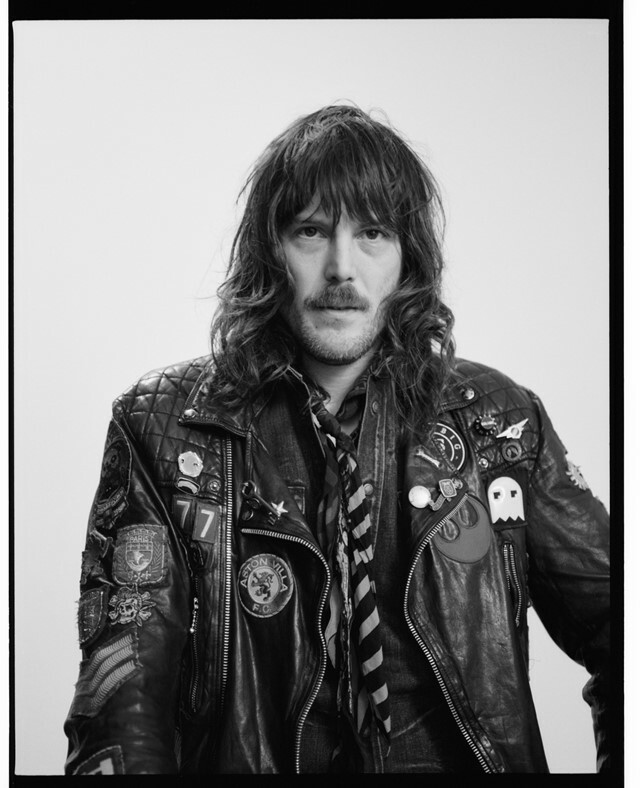 Our son came up with the brand name as he couldn’t pronounce our surname Watkins… ‘Rockins’ sounds much better! What’s the secret to wearing a scarf well? Remembering that the point of clothing is to protect, but the point of fashion is to make you feel something. Two together with different shapes, mixing patterns and worn at a similar height to the neckline in a normal reef knot. Which rock stars wear scarves best? Rod Stewart, blatantly. When Joan Jett wore Rockins it was a real ‘wow’ moment. Lemmy and all that Hawkwind vibe. Paul Simonon once called me a Greebo. If Paul says I’m a Greebo, I’m a Greebo. The festivals, they feel like snapshots into a kind of utopia. What’s your go-to record when you’re DJing? What song title best describes you? Don’t Believe the Hype by Public Enemy.